We have been counted as major firm offering high performing L Type Brackets. 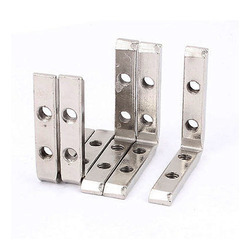 Designed thoughtfully for fixing a wide range of materials including wood, metal or plastic, these brackets are gaining wide popularity for its robust performance in the long run. Featuring a mounting plate with a raised contact surface these brackets are adjoining to a part of the slot for optimum user safety. We are well known enterprise engaged in providing high in demand Epoxy Putty. 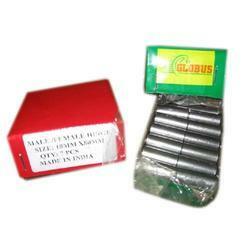 We present the most innovative product used for repairing of machine parts. Made from quality compliant processing for best in class chemical compounds this is epoxy based adhesive that can be drilled, machined, sanded or painted. Further, the highly versatile putty can be ordered from us at a leading price. 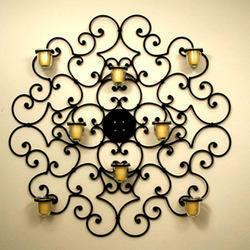 We hold expertise in manufacturing and supplying Wrought Iron Decorative Items. Our sheet metal components are manufactured using quality tested raw material and latest technology that assure their enhanced durability and perfect finish. 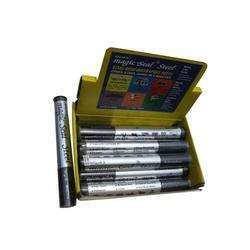 We provide these products in various designs, sizes and specifications in order to meet clients’ exact requirements. Acclaimed due to their robust resign, high tensile strength, easy installation and corrosion resistance, these have gained huge demand in the market. 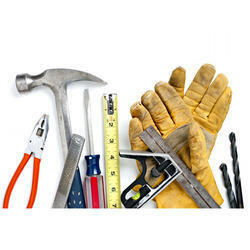 We are offering Construction Tools to our clients. Looking for Construction Hardware Items ?